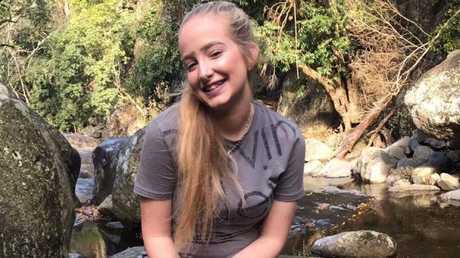 ANOTHER 16 charges have been laid against the man accused of murdering16-year-old Larissa Beilby and putting a Sunshine Coast tourist spot in lockdown for more than 27 hours. Police will allege Ms Beilby was brutally beaten by Zlatko Sikorsky in the lead-up to her death, The Courier-Mail reports. Sikorsky, 34, from Shailer Park, was charged Sunday with the 16-year-old's murder and misconduct with a corpse. Two others, a 40-year-old Palmwoods woman and a 38-year-old Alexandra Headland man, were charged with accessory after the fact to murder. Sikorsky barricaded himself inside an Alexandra Headland apartment during a "highly complex and lengthy negotiation" until he surrendered to police around 6.30pm Saturday. Operation Quebec Jagger was launched on June 27 after Miss Beilby was located deceased in the back of a utility around 2pm in a gated community on Silky Oak Drive. On June 28, police launched an urgent appeal for information in relation to the whereabouts of a 34-year-old man, who police wished to speak to in relation to their investigation. A 34-year-old Shailer Park man is expected to appear in Maroochydore Magistrates Court today charged with murder and misconduct with a corpse. On Monday, police revealed he has since been charged with another 16 offences including two counts of possessing tainted property, and one count each of dangerous operation of a vehicle, unlawful use of a motor vehicle, obstructing a police officer, possessing a category H weapon, possessing a category C weapon, and possessing dangerous drugs. On Sunday morning, the South Eastern Regional Crime Co-ordinator, Acting Detective Superintendent Mark White, said detectives had been working around the clock on the case. Schoolgirl Larissa Beilby was just 16 when she died after allegedly being brutally beaten. "Our thoughts are very much with Miss Beilby's family as they come to terms with and mourn her death," Acting Detective Superintendent White said. "We would like to thank the public for their assistance and co-operation throughout the early stages of this investigation." Ms Beilby's sister Deanna opened up about the family's tragic loss in a public post on Facebook. "With a broken heart shattered into more than a million pieces our family is utterly destroyed to inform you all that Larissa has been taken from us," she wrote. "Our beautiful girl has been reunited with our beloved wife and mother. Fly high our darling angel, until we see you again Rissy." Sikorsky had been the subject of a massive manhunt since Wednesday, sought for questioning over the death of a then-unidentified girl found in a barrel on the back of a ute. News.com.au understands a post mortem was completed on Friday. 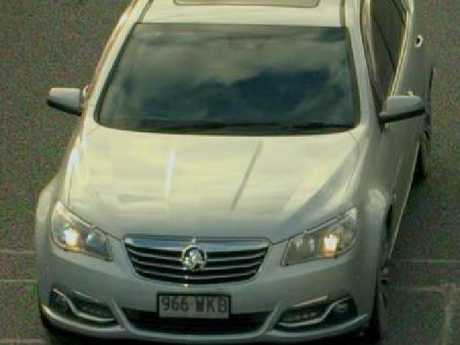 The silver 2014 Holden Commodore police are yet to recover. 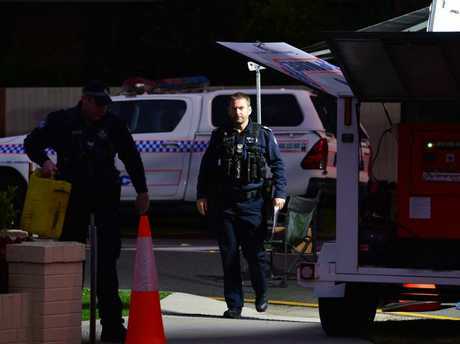 He arrived at a nearby gated complex in the Gold Coast suburb of Stapylton where a female resident claimed he demanded to be let into her housing estate. The woman said it was at that moment she saw a "dead arm" sticking out of the blue barrel. "There was a blue barrel with, all I've seen is an arm flapping out, it was a little bit scary," she told reporters. "There was just the one barrel, it wasn't massive either, it was only small. I just seen (sic) an arm, a dead arm." She said the man offered her money to be let inside the complex. "The windows were all shot out, bullet holes through the bonnet of the ute," the woman said. "He said to me and my partner 'I'll give you two grand if you let me in the gate right now' so we lifted up the gate and let him in." Police were called to the Stapylton complex where they found the badly decomposed body stuffed into a barrel on the ute's tray. "A further search of the vehicle uncovered a deceased person," police said in a statement. Police earlier confirmed Ms Beilby was "associated" with Sikorsky who was able to make another getaway in a different car. 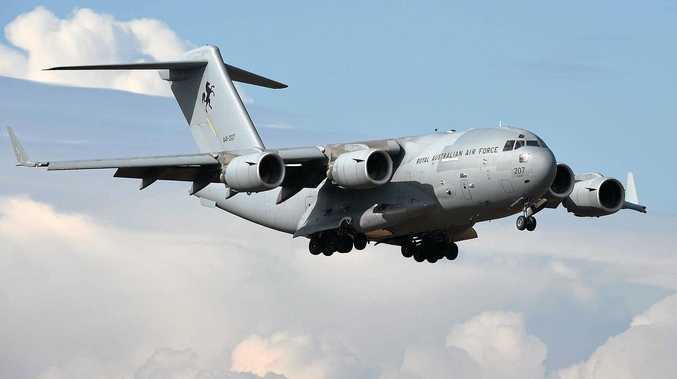 At about 3:30pm on Friday, Sikorsky was located at a unit complex in Juan Street and an emergency declaration was made under the Public Safety Preservation Act. Up to 40 police officers, including Specialist Emergency Response Team personnel, were locked in a stand-off at the complex for hours. Police teams at the scene were refreshed in a second shift changeover as negotiations crawled into their second day on Saturday. 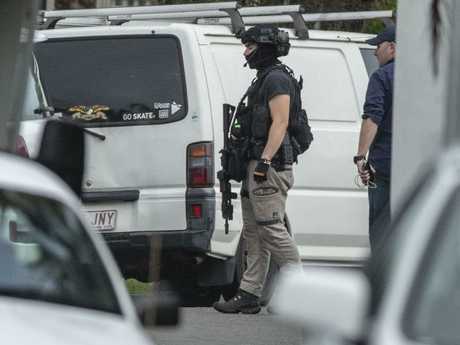 Resident Fern Murphy, 24, told news.com.au that at one stage during the siege she heard a man yelling to police for about a minute that he "was turning his phone on" and waiting for them to call him. "I then went out on my veranda and heard [more screaming]," Ms Murphy said. Another witness said he could hear a man making demands in a neighbouring unit about wanting to speak to a woman and his father. A witness later told The Courier-Mail Sikorsky was heard to say "I just don't want to get shot" before ordering police to back off. Police continued to communicate with Sikorsky throughout Friday night and even allowed his father, John Sikorsky, to visit him. John Sikorsky reportedly arrived at the complex wearing orange hi-vis just after 9pm Friday. He exited the apartment complex almost two hours later, appearing happy and animated as he spoke to police, before driving away in a Toyota Hilux, The Daily Mail reported. Earlier this week, John Sikorsky told The Courier-Mail people needed to "wait for police to do their job". "Hopefully all of this is nothing but rubbish," he said. "My son, he is a decent person."